Home » Gadgets News » In pursuit of a true virtual assistant: How far are we? Siri, Cortana, Google Now and now Bixby, all lined up to provide the best use of voice commands to users with a common aim, to mitigate grabbing smartphones for every small impetus. True virtual assistance has yet to see its better days but it feels good to talk to one’s smartphone from time to time. However, the evolution of virtual assistants is a crucial factor in developing an intelligent device that needs not rest in palms. So let’s address the elephant in the room ask it out loud; how far are we from the time-line of developing a truly intuitive virtual assistant? The question has always been on our minds. And by “our” I refer to us enthusiasts who look at the face of every new technology and wonder what the future holds for us. Millennial have grown up with ideas of future tech and gadgets being fed to them through cinematic experiences. The generation is also the one that welcomes advanced automation with open hearts and an awe free expression, demanding and expecting more. This expectation and demand has led us to tech that we use most of the hours of the day waking or sleeping. Virtual assistants are a sneak peak into the future. Apple was the first among rivals to come up with Siri in 2011, a promising and intelligent assistant for smartphone that could setup reminders, set alarms, search the internet, text hands free, play music, navigate and place a call without touching the phone. However advanced it may sound, Siri found slim application in day to day life. Mostly because of limited functions and for reasons such as problems in operations and recognizing voices and words. 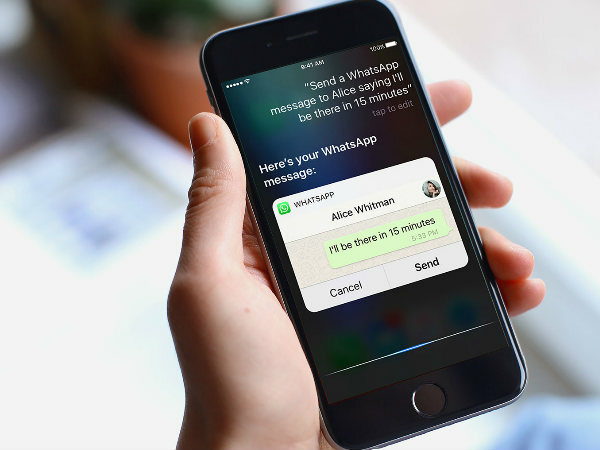 Apple has improved upon it considerably and Siri can now also perform in app tasks such booking a cab or texting using instant message application such as Whatsapp. It also opens apps and you need not search them among countless icons. It took Microsoft three long years to actually come up with an actual competition for Siri. Cortana had generated a lot of hype and soon after its release we knew it was nothing new or revolutionary. It did have a better voice that sounds less mechanical but it too was limited in application due to voice recognition. We all remember the embarrassment Microsoft CEO, Satya Nadella faced in a live keynote while trying to use Cortana. Google Now on the other hand came with much promise and is fulfilling it well. Launched in 2012 this assistant backed by Google has much more personal information about user at hand and hence serves better. It also has better voice recognition and understands words quite well. It has been used widely and Siri is falling behind in recognizing voices. Although, Google Now isn’t your perfect personal assistant. Throw a few confusing phrases at it and it directs you to Google search pages. It also lacks complete control of apps on the device. Bixby is the latest player in the market from Samsung which has now made a debut on Galaxy S8 and S8+. The verge performed a run through of Bixby right on the day of its release and the results were disappointing. Performing easy tasks such as sending text messages and making a call were tedious errands to go through. Bixby is still in the Beta phase and it will subsequently improve but it is nothing like what Samsung had promised. You need to hard press on the side button or simply say “Hi Bixby”. Its voice recognition according to the video presented by Verge was unsatisfactory. As it turns out almost every smartphone assistant is still learning to recognize voices and words. The fact throws back our expectations way back than we expect it to. Given that how brands promote their products and features highlighting what a smartphone can do it is up to us to talk about what it cannot. Talking about personal assistants they lack the ability to perform majority of tasks. For example you cannot turn down music volume by simply asking your assistant to do it for you. So if you ask how far we actually are from a true virtual assistant, given the slow rate of advancement in the field it will take us at least a decade to reach to an initial stage of such application and without doubt it would require exaggerated use of artificial intelligence. So there is still time before your smartphone turns into Jarvis.